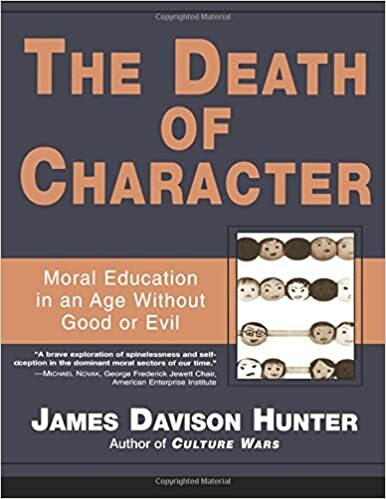 The Death of Character is a broad historical, sociological, and cultural inquiry into the moral life and moral education of young Americans based upon a huge empirical study of the children themselves. The children's thoughts and concerns-expressed here in their own words-shed a whole new light on what we can expect from moral education. Targeting new theories of education and the prominence of psychology over moral instruction, Hunter analyzes the making of a new cultural narcissism.